There’s nothing better than getting away with your golfing friends for a well deserved golf holiday. Whether it’s a Spring break getting your game sharp and ready for the upcoming season or a Summer/Autumn break for a few days in England, Scotland or Ireland. I organise and deliver all types of Golf Tuition Breaks travelling the world coaching and playing with my golfers. 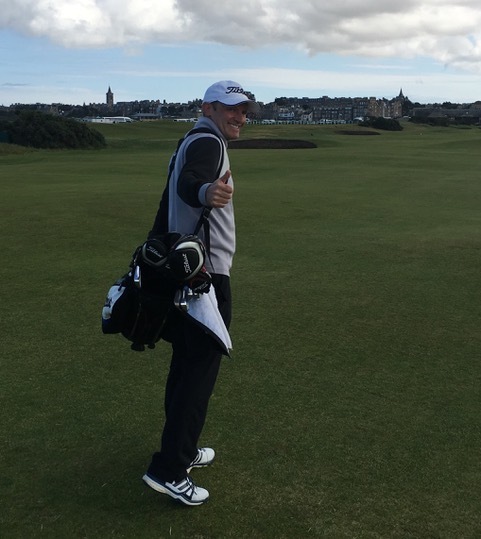 My favourite destinations in the Summer & Autumn are St Andrews in Scotland or the North West coast of England playing the famous Open Championship venues. In the Winter my favourites are Turkey, Spain or Portugal. For exclusivity Dubai is really tough to beat and I can also organise a trip to the US Masters in April if that’s on your bucket list? Golfing holidays are one of the most enjoyable parts of my job and I’ve been lucky to have visited many superb destinations in my career so far.